It is compatible with Android, from 2.3.2 Gingerbread version to the latest versions of Google Operating System. DENEVA Android Player allows to offer a multimedia latest generation experience, making the best of the multimedia performance of Google Operating Systems. 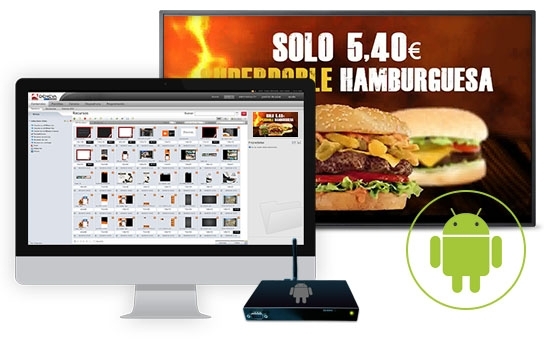 The Android Player allows the connection and supervision of a screen for contents presentation up to Full HD, and with surprising options such as WatchDog support or tuning among other professional options. All of this with a similar multimedia experience as a PC, and less cost than a compatible Windows computer. ICON Multimedia is partner of the main professional Digital Signage suppliers based on Android, which guarantees the success of any project.